The whole point in having a Dropbox is so you can access all of your data from any device, and have it fully backed up. 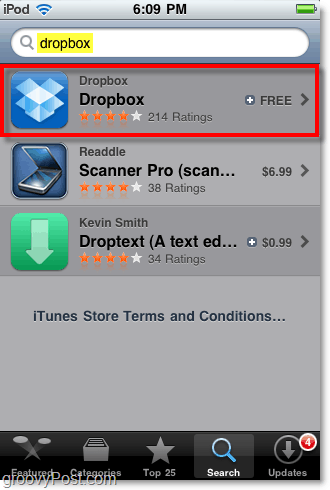 So why not use Dropbox from your iOS device that set you several hundred $’s back? Yes, there is even an app for that, and it is free! Groovy. 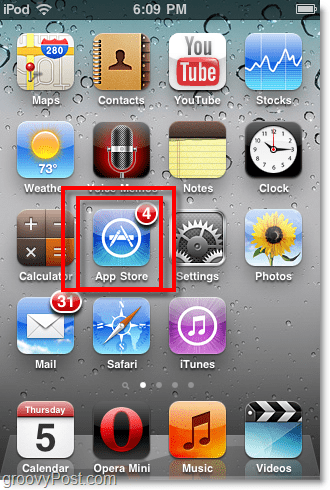 Tap the App Store icon on your iOS dashboard. In the search field, Type in dropbox. Click the Dropbox app that appears on the list. Step 3 – Download the App, it’s free! 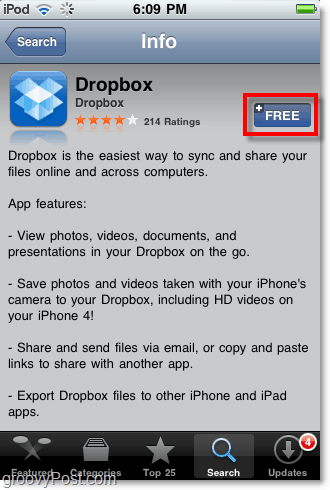 Tap the FREE button to download and install the Dropbox app. 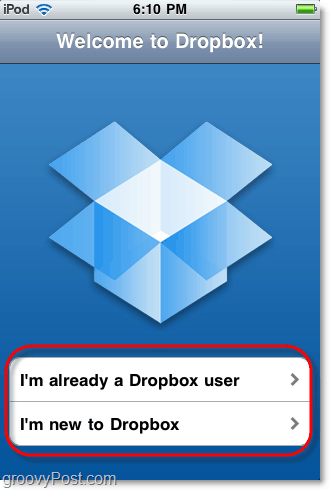 After the download and installation are complete, Dropbox will appear on your dashboard. Tap the Dropbox icon to open it. That’s the end of the step by step, but we have more to do before we finish. Let’s take a look at some of the features of this application. 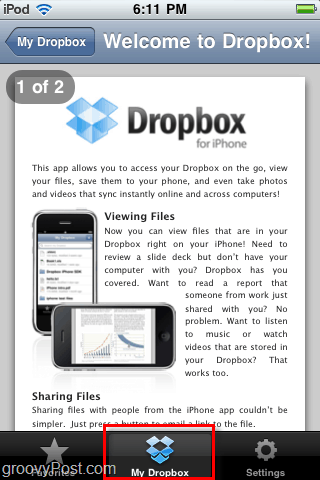 You can browse your Dropbox and view all of its contents from your iPhone using the My Dropbox menu. The Dropbox app can display almost any type of file stored in your box, including images, pdf files, videos, documents, and spreadsheets. While viewing a file, there are a few different things you can do besides just looking at it. 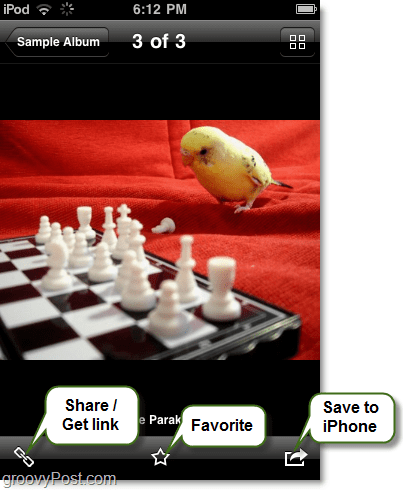 You can create a sharing link, favorite it, or save it to your iPad. 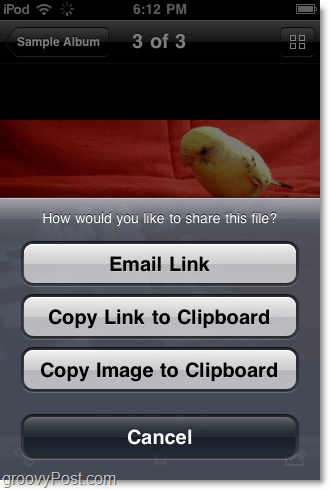 If you opted to create a link, it even gives you the option to email the link directly – or you can also just copy it to the clipboard or copy the file (if possible) to the clipboard. 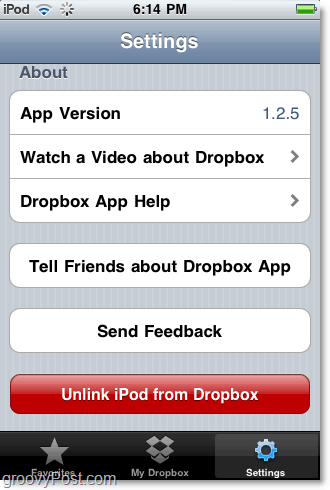 Unlink your Dropbox from your iOS device. 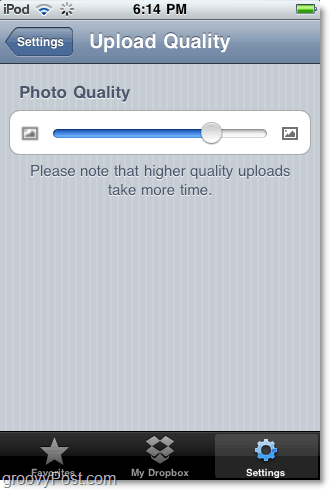 Adjusting the Upload Quality will make file syncing faster as it will decrease the size of your images, but it will also make the images smaller and sometimes even pixellated. From the My Dropbox menu, if you Click the + button it will let you add photos or videos that you have stored on your iOS device. This feature is extremely useful for backing up videos or pictures you might have taken with your iPhone. Unfortunately the iPad and iPod Touch still have no camera, though. 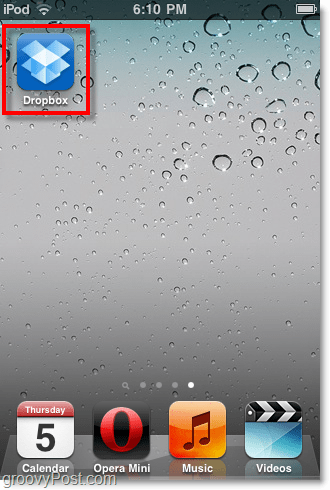 Want to store a Dropbox file on your iOS device? Just Mark it as a Favorite after opening it. 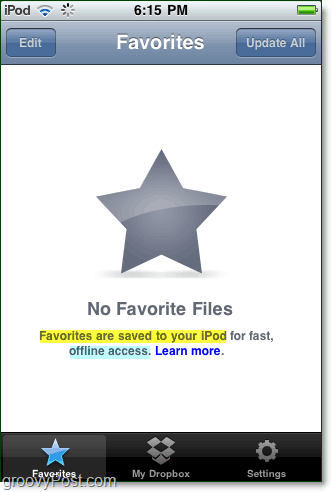 All favorites are downloaded and stored on your device so you can view it whenever you want, regardless of internet connection. If you need to quickly sign out of Dropbox and delete all locally stored Favorites, then you need to Unlink it. All you have to do is visit the Settings page and Click Unlink this iPod. You can always reconnect again later! 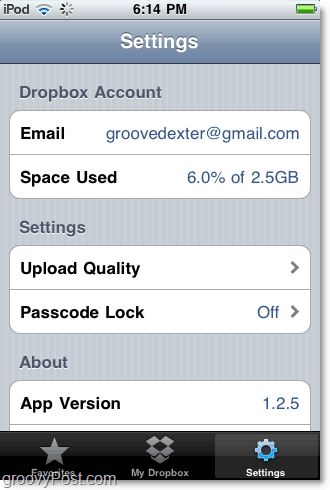 The Dropbox app is a groovy little tool for syncing files on the go. I find it most useful for backing up pictures and videos taken from my iPhone, but I’m sure you’ll find other uses for it as well! We’ve written a lot about Dropbox in the past few months so be sure to check out all our articles for this groovy free tool. If we haven’t written about your favorite trick or Dropbox feature, drop a note in the comments, and we’ll get that corrected! And ofcourse its the same with Android. Its the same dropbox, but some other different layout but the same options. Yep, basically the same. I love the Dropbox app for Android, tons of options.